Ancient Armenian Church (photo: Alamy Stock Photo). 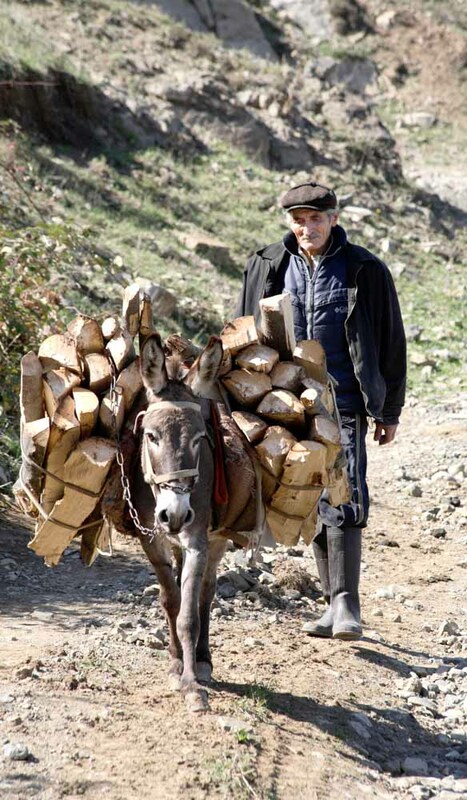 The locals working hard, as well as the humans, Debed Canyon, Armenia (photo: Alamy Stock Photo). Historic building at downtown Yerevan, Jerewan, Armenia (photo: Alamy Stock Photo). 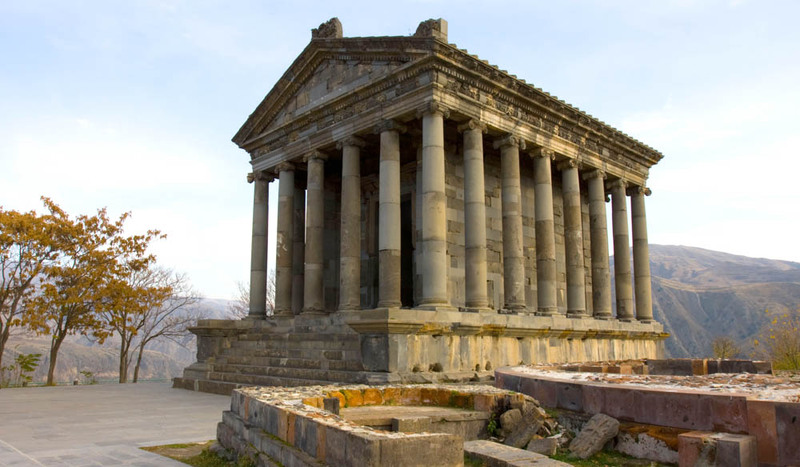 The Temple of Garni is a pagan temple in Garni, Armenia (photo: Alamy Stock Photo). 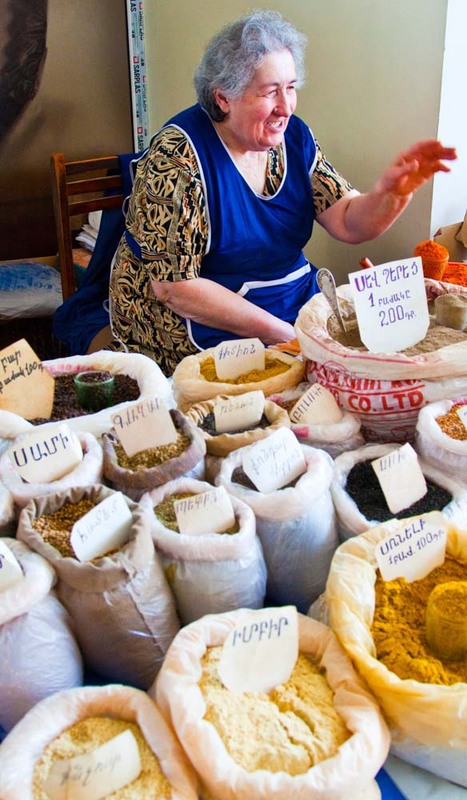 Spices in a Food Market (Shuka) in Vanadzor, Armenia (photo: Alamy Stock Photo). What is the one thing people should know about Yerevan before visiting? The buildings here are made of naturally coloured volcanic rocks of varying shades of pink, which creates a vibrant atmosphere. Added to that is Yerevan’s lively nightlife, with pubs, cafes and restaurants open until the early hours. What are the three things visitors should do when there to really own the claim that they have seen the best of the city? 1. Take in a panoramic view of Yerevan by heading to the top of the Cascade. 2. Shop at the local market, Vernissage. 3. Visit the Matenadaran to learn more about Armenia’s storied history. Is there an experience only locals know about that will give visitors a real insider’s view of Yerevan? We take pride in our world-famous brandy, which was the favourite of Winston Churchill. You can take a tour of the museum at the Yerevan Brandy Factory, learn how the local brandy is made and sample various types. Where do locals eat and drink? Food plays a big part in our culture, and here are some of my favourite places to go. – Dolmama – It has revived traditional Armenian cuisine and centres on the dolma: typically ground meat mixed with rice, herbs and spices, wrapped in grape leaves. But Dolmama has shaken the recipe up by replacing the ground meat with a slice of sirloin and adding chilli and rosemary. – Malkhas Jazz Club – Head to this atmospheric club for the best jazz music in Yerevan, and enjoy a menu that includes steak and pork chops. Don’t miss the great cocktail and cigar menu either. – The Club – This elegant eatery serves Armenian and international food with a French influence. Try the steak on a hot stone and, for dessert, head to the tearoom for a superb crème brûlée. The Club is also a bit of a cultural hub in Yerevan, with a cafe, concert hall and marketplace selling magazines, books and films. 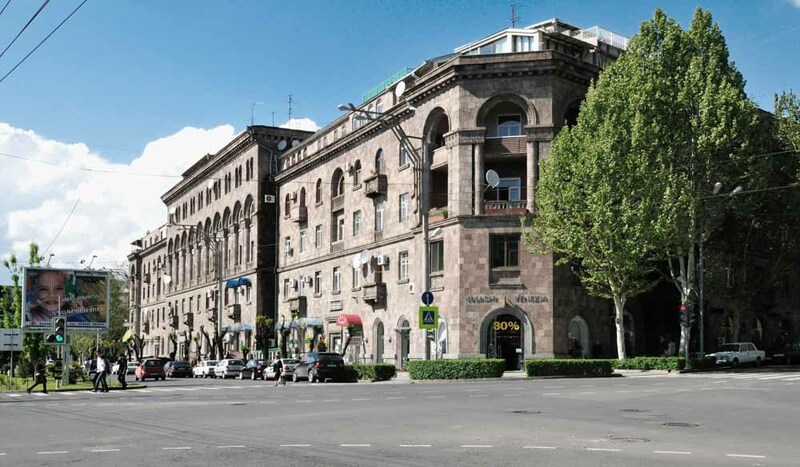 Grand Hotel Yerevan, Rossini Restaurant Italian and Armenian cuisine and an unparalleled dining experience. Where is the best place to shop in the city, and what are the best souvenirs to take home? Head to the Vernissage art market to shop for handmade souvenirs. You’ll find an assortment of handicrafts here, from wooden sculptures and paintings of various Armenian landmarks to bags made out of Armenian carpet. What is your favourite lesser known museum or attraction in the city/country? The Saint Gregory the Illuminator Cathedral. Armenia is known as the first Christian country, and this fascinating building, which was only consecrated in 2001, is a symbol of this. Visit at night, when it is lit by floodlights and looks particularly beautiful. What neighbourhoods or areas should people explore in Yerevan to get an insight into everyday life there? Definitely the Yerevan Cascade; one of the most spectacular attractions in town. It is a huge stairway that links the centre of Yerevan (Kentron) to the Victory (Haghtanak) Park and the Monument neighbourhood. Explore its network of halls, courtyards and outdoor gardens. What do you recommend doing for the perfect Sunday in the city? Sunday in Yerevan is a more relaxed time: after a noisy Saturday socialising, it’s just a perfect time to plunge into some travelling around Armenia. 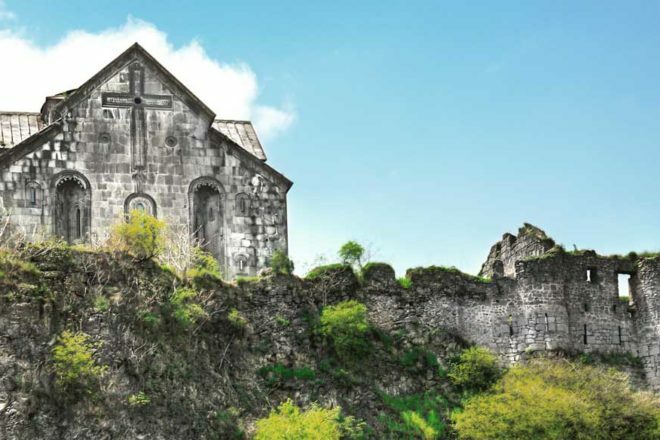 Perhaps take a day trip to Dilijan, a spa town in the Tavush Province of Armenia. It’s situated within the Dilijan National Park and is full of forested valleys, mountains and alpine meadows, earning it the nickname Armenian Switzerland or Little Switzerland. Here you’ll find lots of traditional Armenian architecture and the homes of artists, composers and filmmakers. Are there any helpful words or phrases in Armenian that visitors should use while there? Inchpes eq? – how are you? Want to discover more about Armenia? 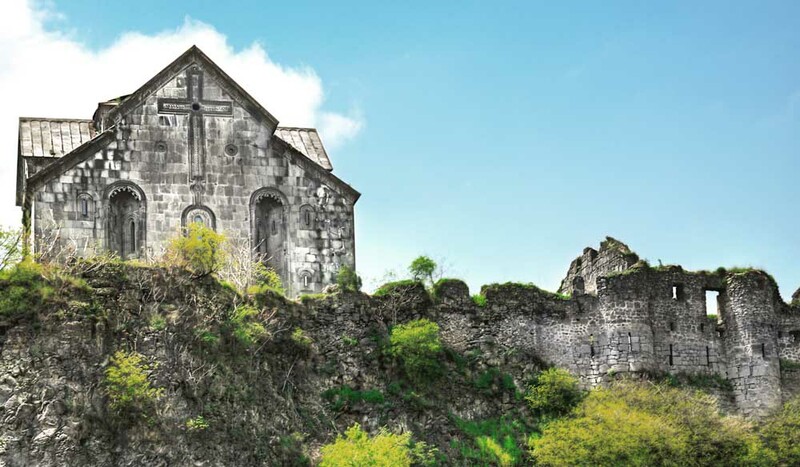 Check out Small wonders of Armenia.